Efforts to bring about a cessation of hostilities between the Ukrainian government and separatists have repeatedly proven ineffective. “You really don’t want it to start again,” war veteran turned volunteer Dima Grigorievich made clear. It was early Saturday morning on April 1, and the latest attempt at a ceasefire between Ukrainian forces and the Russian-backed separatists was just a couple of hours in. The 46-year-old doesn’t fight himself anymore, but mostly organizes logistics along the front line around Troyitske, a small village on the border of the Luhansk and Donetsk oblasts. So far the shelling two kilometers from the front line seemed to have eased down. “It’s quiet now, and that’s a very good thing,” Dima concluded. But even though negotiators of the Organization for Security and Cooperation in Europe (OSCE) agreed with the government in Kiev and separatist officials to start a next ceasefire in the Donbass that weekend, the wishful observation of Dima didn’t last. Since the start of the conflict in 2014 between the Ukrainian government and self-proclaimed People’s Republics of Luhansk and Donetsk, ceasefires haven’t counted for much. 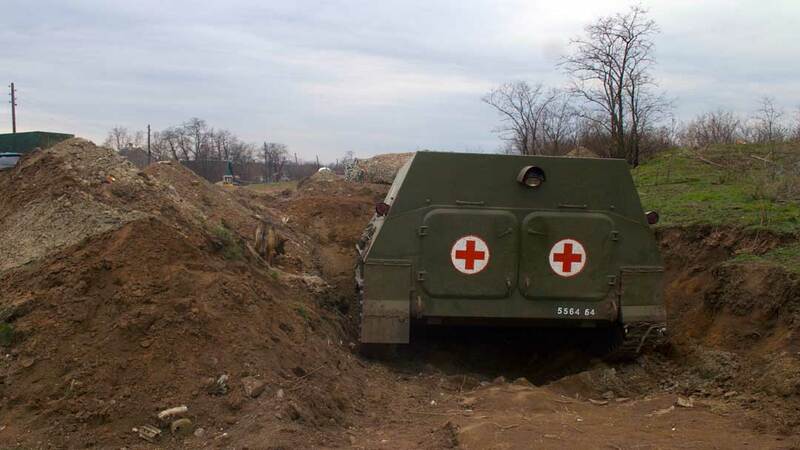 During the morning on Saturday, minor calibers of mortar attacks on the Ukrainian side of the front could be heard in a distance from Troyitske. Within a day, Ukrainian officials reported 37 attacks on its ranks, wounding four servicemen. The day after, it claimed 30 violations by the separatists. In the meantime, officials from the self-proclaimed Luhansk and Donetsk People’s Republics Monday morning reported 36 violations by Ukrainian troops in the 24 hours before. Over the last week, multiple casualties have been reported, including six civilians. The only positive development since the last attempt to a ceasefire, is that the OSCE for a couple of days recorded considerably less violations the first couple of days then the week before: from often more thousand per day to several hundred on both sides. Still, during the week the number just went back up to pre-ceasefire proportions, resulting in over 2,000 violations on April 5. These ceasefire violations can sometimes mean the deployment of heavy weaponry such as tanks, but it takes a wide variety of forms: mortars fired kilometers from the frontline, the use of machine guns or small arms, fire from grenade launchers, and even sniper activity. It has been three years since separatists supported by Russia picked up arms against the new pro-European government in Kiev and declared their own independent republics of Luhansk and Donetsk in Eastern Ukraine. During those years, countless of efforts have been made to de-escalate the situation; to end the casualties and damage accompanying the conflict. Following an escalation in early 2017 especially around the city of Avdiivka, a ceasefire came into force the 20th of February. But the very same day, a Ukrainian soldier got killed and both sides accused each other of violating the ceasefire. The same appeared to have happened last weekend. Ukrainian president Poroshenko ordered his troops to stop all hostilities. Separatist officials said they were ready for a new ceasefire to take effect. But even though things quieted down for a bit, the fighting continued. Meanwhile, the international media seems to have lost interest in the ongoing conflict often described as a forgotten war. It might make it seem rather insignificant, but the war is in fact much more spread and extensive than reported on in the West. While the war regained attention after the most intense escalation at the end of January around Avdiivka, the entire 500-kilometer front line has been the witness to continuous fighting, claiming dozens of lives per month. The “Kiev Rus” volunteer battalion stationed around Troyitske for example, consisting of a couple of hundred troops, lost around a dozen men over the last ten months according to Dima. In eastern Ukraine, from the northern Luhansk province to the southern city of Mariupol, the war has brought the death toll up to nearly 10,000, according to the latest numbers of the UN. Like any other conflict, the difficulty with the war in Eastern Ukraine is that both sides accuse each other of further escalating the conflict. According to Dima and other men of his volunteer battalion, the Ukrainian side only rarely shoots back when they are being shot at. “Of course you have to resist, you need to show them your strength,” said Dima. In the meantime, OSCE observers have limited access to the self-proclaimed republics of Luhansk and Donetsk, which makes it hard for them to make a balanced judgment of the situation. Furthermore, the organization does not say whether one side is responsible for the majority of the violations. Officially, a second Minsk agreement is still in place. Brokered by Ukraine, Russia, France, Germany and separatist leaders in 2015, it attempted to end the conflict in the Donbass (a commonly used name for the region). The agreement demanded an immediate ceasefire, and fighting parties agreed to pull out heavy weaponry from the front lines. De facto this agreement appears to have no meaning. According to the OSCE, larger calibers were used nearly twice a day over the last couple of weeks. The Kiev Rus battalion also had larger mortars coming down its ranks. “82 millimeters are flying over all the time. But we even have to deal with 122 millimeters and 155 millimeters at times,” Dima said. The Minsk agreement prohibits the use of mortars bigger than 100 millimeter. What’s more, the OSCE reported that tanks and heavy artillery are actually still deployed on both sides of the front. And unfortunately, despite all empty efforts, the last week has proven once again that still nothing seems to have changed in Eastern Ukraine. 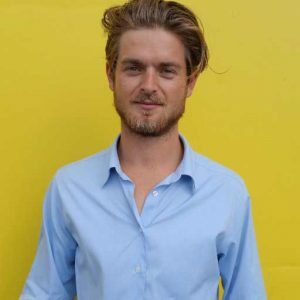 Christiaan Paauwe (@Chrisatepaauwe) is a freelance journalist who specializes in Russia-Ukraine relations. He studied philosophy, Russian and journalism at the University of Amsterdam and the Panthéon-Sorbonne University in Paris.